Some people get bit by the cleaning bug in the spring, but for me spring fever hits as an irrepressible urge to organize! Since the weather began to turn in the Ozarks, I’ve de-cluttered 2 closets, most of my kitchen cabinets, my bedroom dresser, and half of my especially disheveled garage. 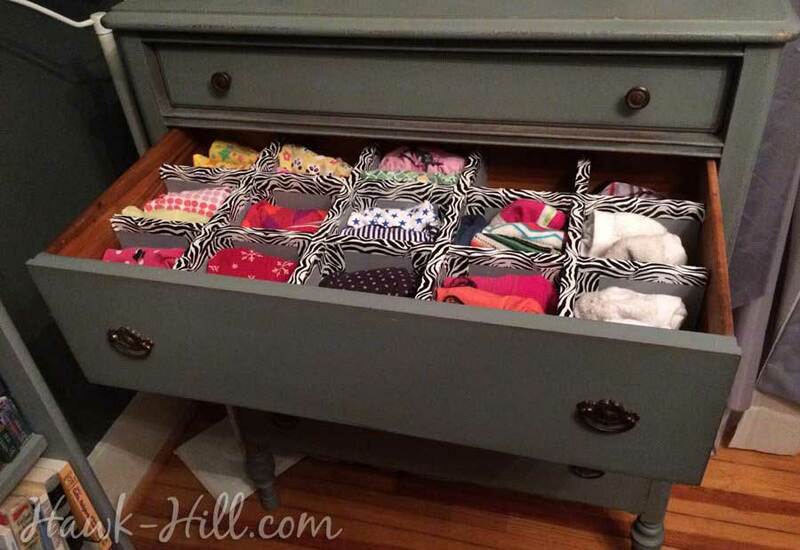 Adding dividers to my drawers was at the top of my list for this spring, but I had to get creative about my method. 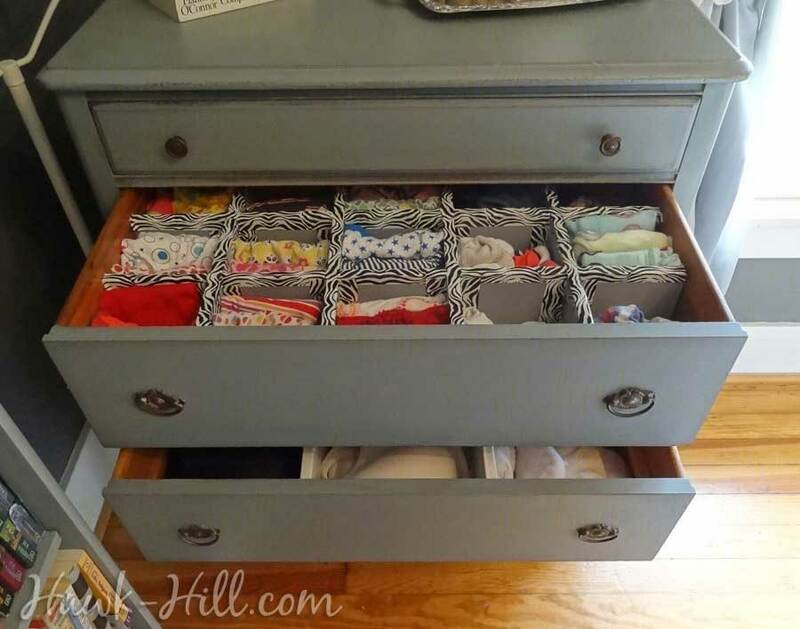 Searches for DIY drawer dividers on Pinterest and Google brought up lots of cardboard and foam craft-board solutions, but in a dresser that was bought by my grandfather in the great depression, in a house that’s stood for almost 90 years, I knew a flimsy fix using craft-grade supplies would quickly look shabby and didn’t seem appropriate. Plus, I should just acknowledge up front that I WILL be guilty of forcing these dividers to hold max capacity and beyond on a busy laundry day. Off to the big box hardware store I went and quickly found the perfect material: Extruded Polystyrene Insulated Sheet (aka “Foam Core Board”). It’s rigid, lightweight, easy to cut, and at less than 40¢ per square foot it’s the perfect material for drawer dividers. This type of material is MUCH stronger and more rigid than craft store foam boards, for about the same price per square foot. (If the 4×8 sheet won’t fit in your vehicle you may be able to find 2 foot wide sheets- I just had the lumberyard staff cut my 4×8 piece in half and used the portion leftover after making my dividers to make a [pinboard] for my studio.) This is an item you’ll be able to find cheaper at a lumberyard, but if you are unable to make the trip, you can get an equivalent product delivered from amazon. Before cutting up my foam, I took measurements of my drawers and plotted how large I wanted my openings- 5in x 5in for my sock and underwear drawer, and 7×7 for my bra/shapewear drawer. 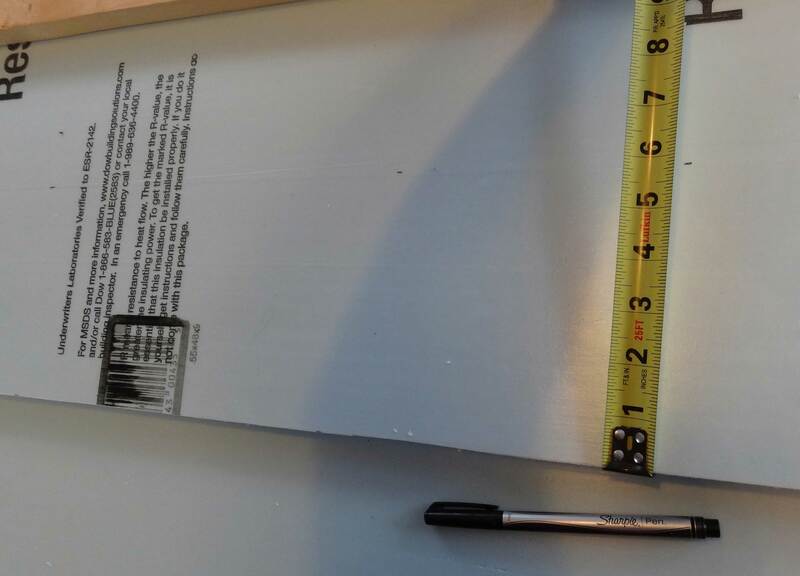 Remember, when plotting your dividers to allow for the thickness of the boards. Spray Paint (you’ll need to prime with Zinsser Bulls Eye 1-2-3 Primer/Sealer or a paint formulated for plastic. 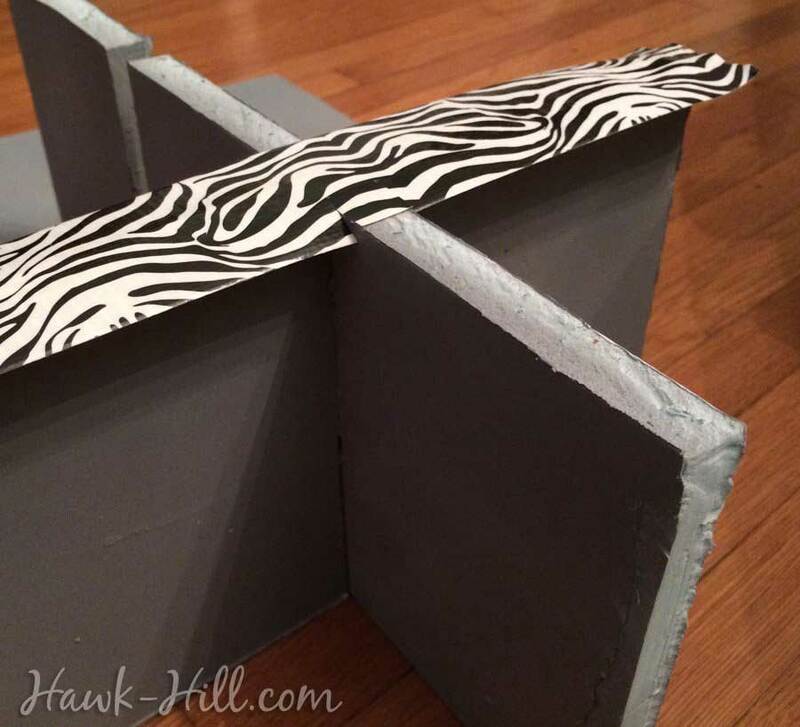 Duct tape – any print or solid color. 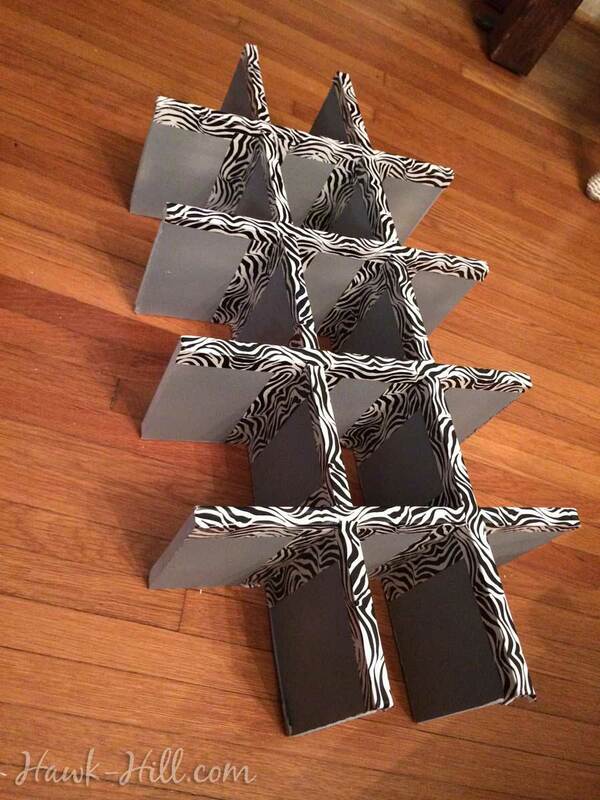 My drawers are 8 inches deep, so I planned for 6″ high dividers. I used a ruler and a straight edge to cut my large board into 6″ wide strips, then cut the strips to the lengths required to accommodate the dimensions of my drawer. 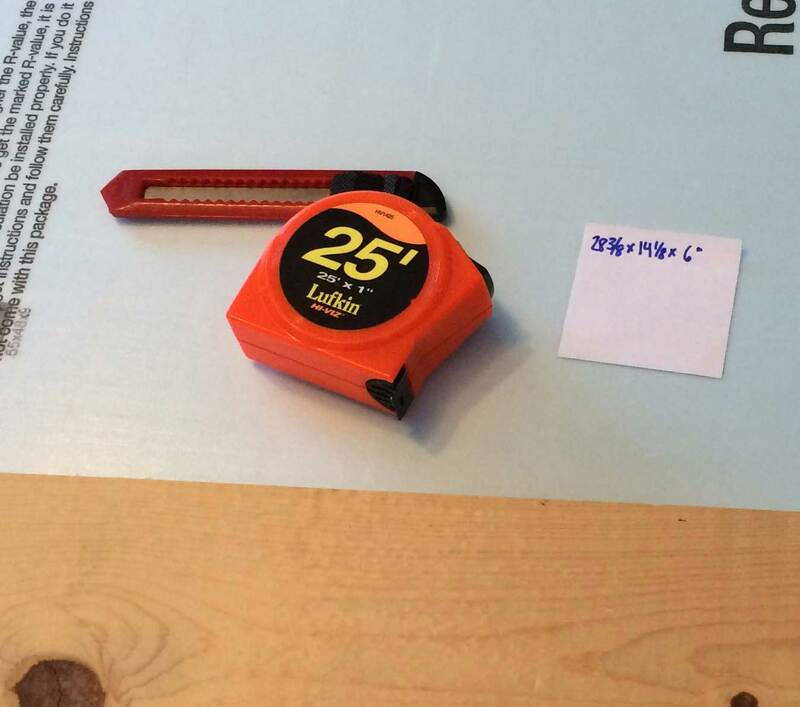 I marked along the length of my foam board at the 5 7/8″ measurement. It’s easy to make clean, straight cuts on this material, just use a box cutter to carefully create a deep score across the top of the board, then with even pressure bend away from the cut side and the board will break in two where the score was made. 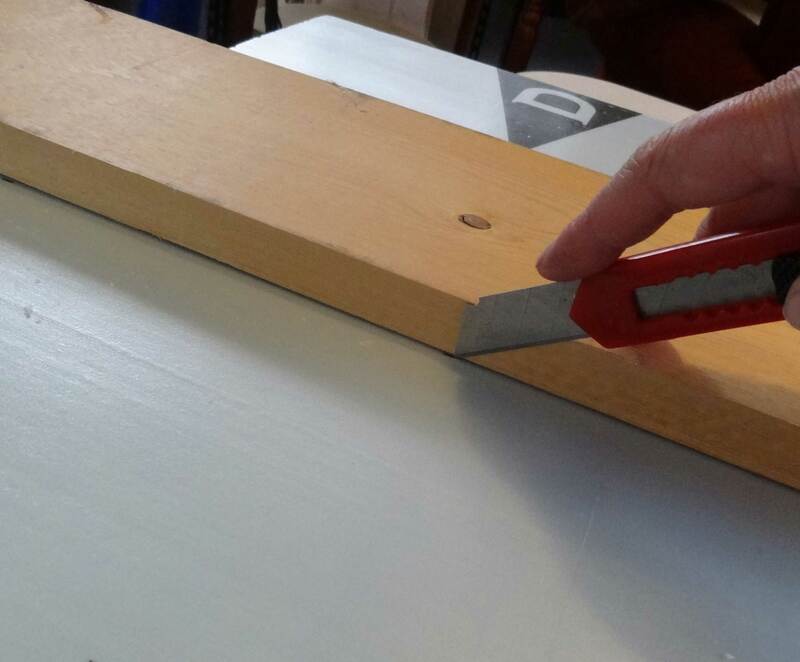 Continue cutting until your boards are the length needed for your drawers. 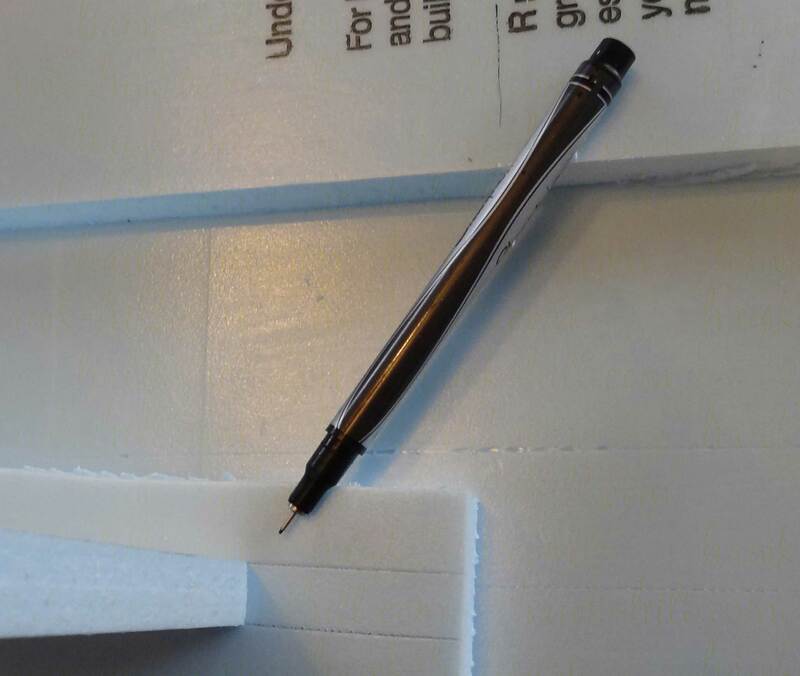 While gluing pieces together is an option, creating notches and fitting the boards together is fairly quick and creates a much stronger joint. 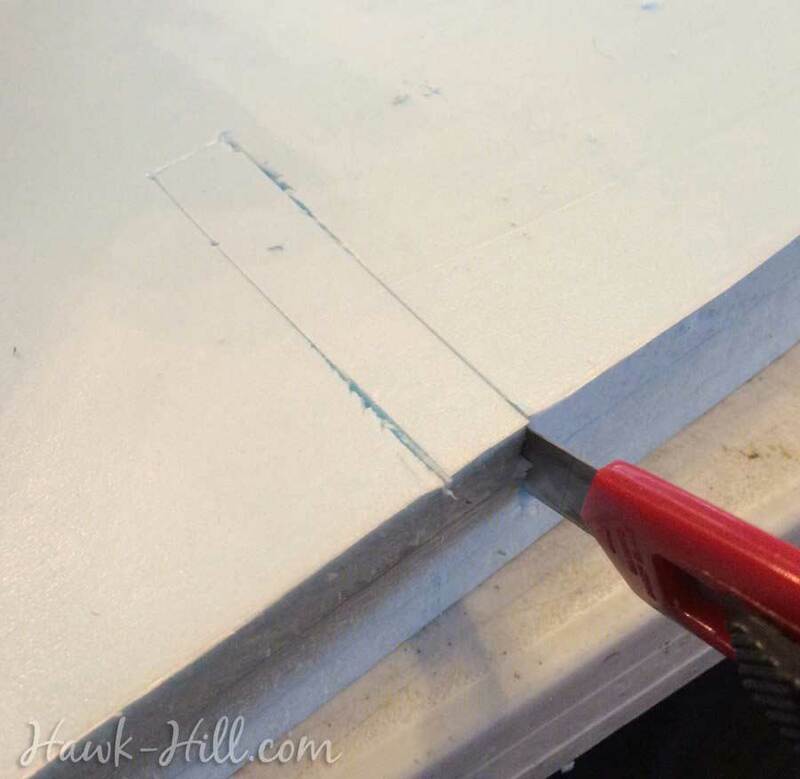 You’ll need to use your knife to cut through the full thickness of the material this time- so be sure and work on a surface that is durable and not sensitive to scratches! Once you have your pieces cut, assemble the divider and make sure the pieces fit together as you planned and the dimensions are correct for your drawer. 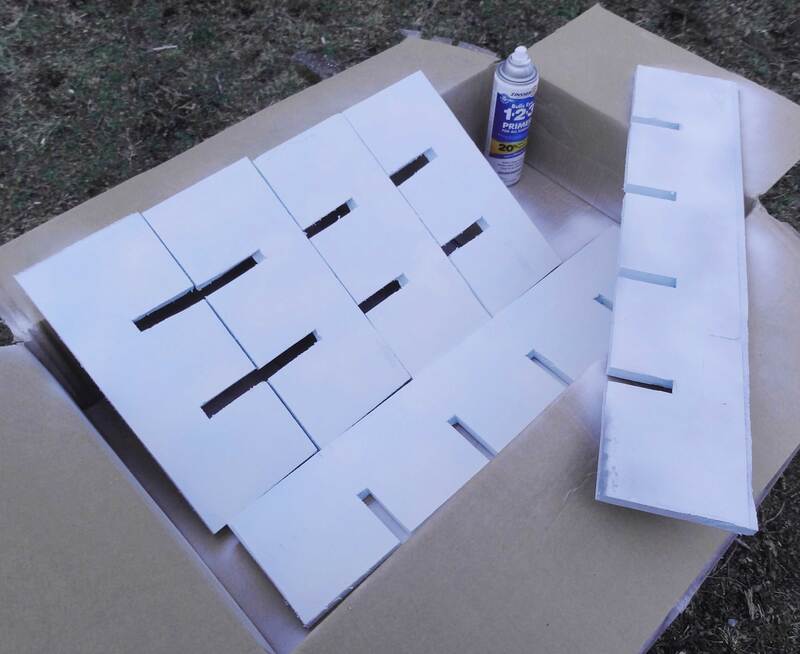 If you desire a finished look, you’ll want to paint or cover the foam. I chose to paint my first set- and watched with horror as the first paint I tried caused the surface of the board to bubble and deform! Thankfully, switching an all-surface primer resolved this issue. 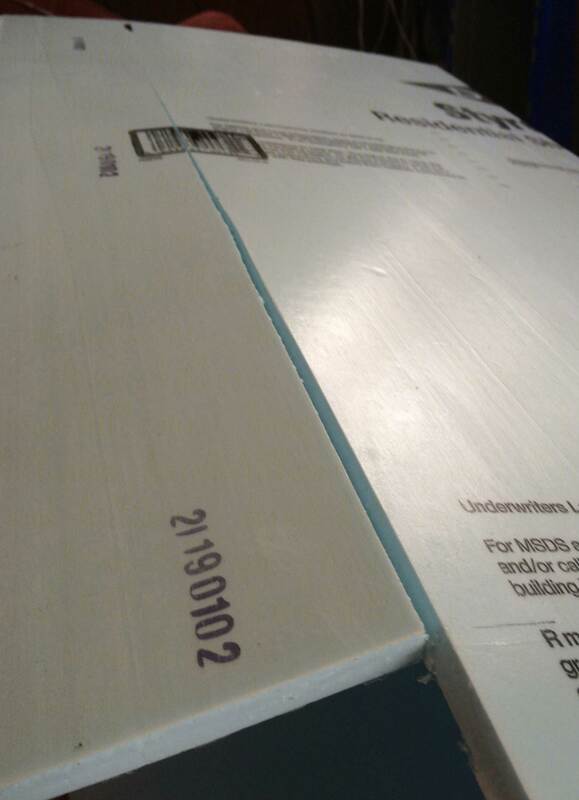 Zinsser Bulls Eye 1-2-3 Primer/Sealer, came to the rescue with a great finish with no bubbling underneath. 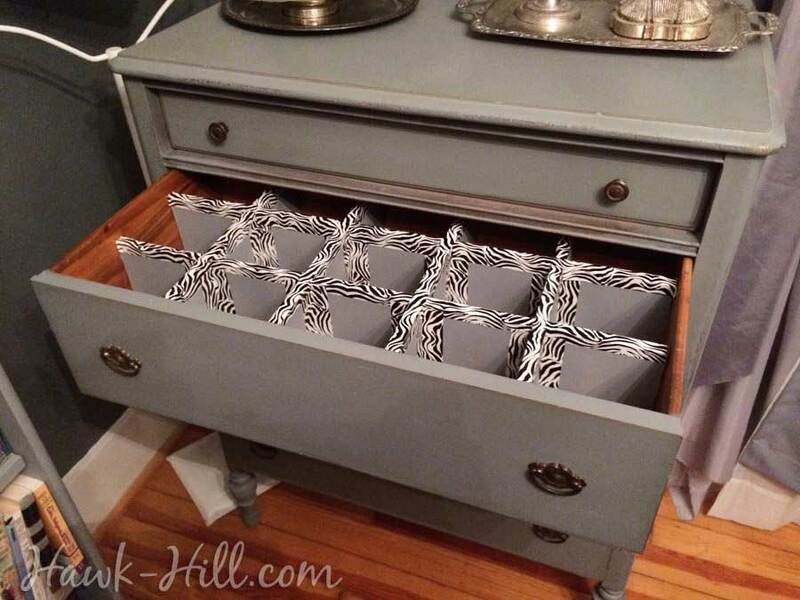 I added a topcoat of grey to match my drawers. 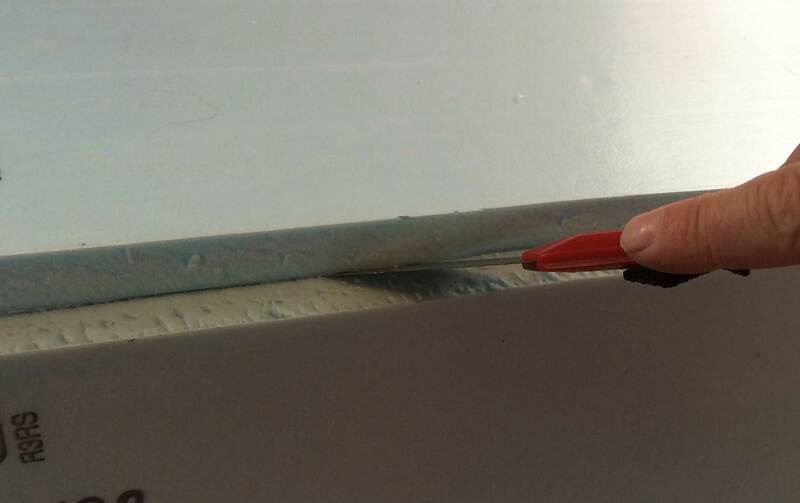 If your notches turned out perfect and the exposed edge of the foam boards don’t bother you, you can stop here. I chose to go just a bit farther and cover each of my edges and seams with duct tape. This hid the exposed edges and any gaps in how my dividers fit together. 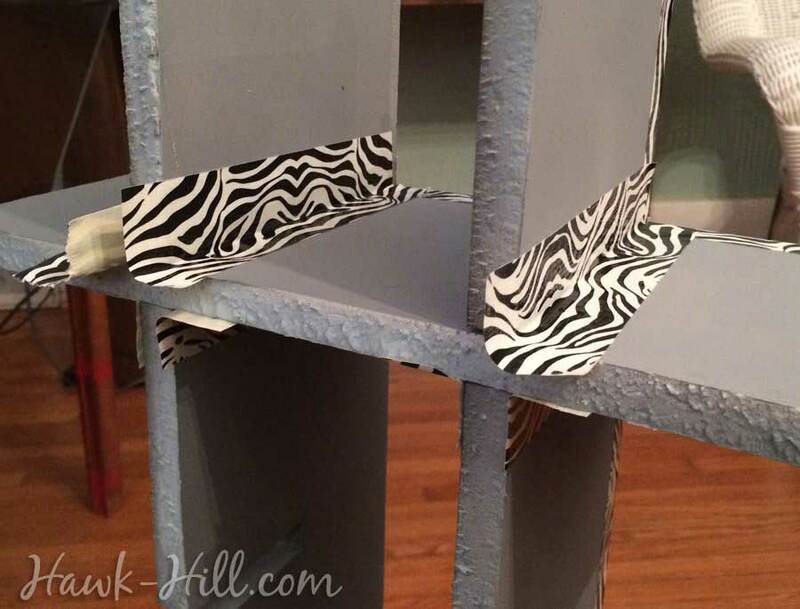 For my underwear drawer I chose zebra tape on grey, and for my shapewear drawer I finished the boards with white paint and used white duct tape for a very plain look. 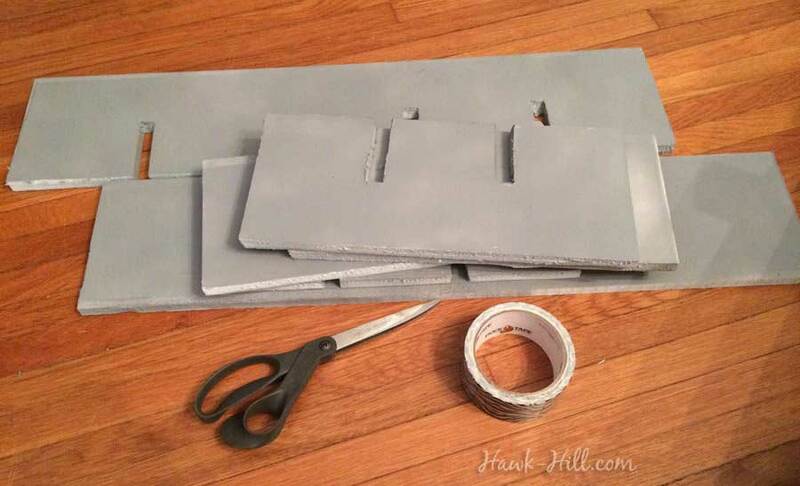 I’m not sure how well the duct tape will wear over the years, but if it begins to look worn I may tryspray adhesive to apply a non-fraying fabric like fleece or knit cotton to my foam dividers for a softer look and feel. Continue until all the edges and joints that will be exposed when installed are covered. I’m thrilled with how this project turned out and, may I admit, installing dividers was the first time in my life that I began actually folding my underwear? they just seem so cheerful folded and tucked into cubbies sorted by favorite to least favorite. Using tape to cover the edges is playful, but doesn’t create a smooth, professional look, which I’d prefer. I’d considered spray painting over the tape, but knew from experience paint won’t stay adhered to duct tape. When working on horse head shaped wreaths over the last fear years, I started using Plasti-Dip Spray – which sprays on to creates a smooth texture and adheres really well to everything I’ve tried. 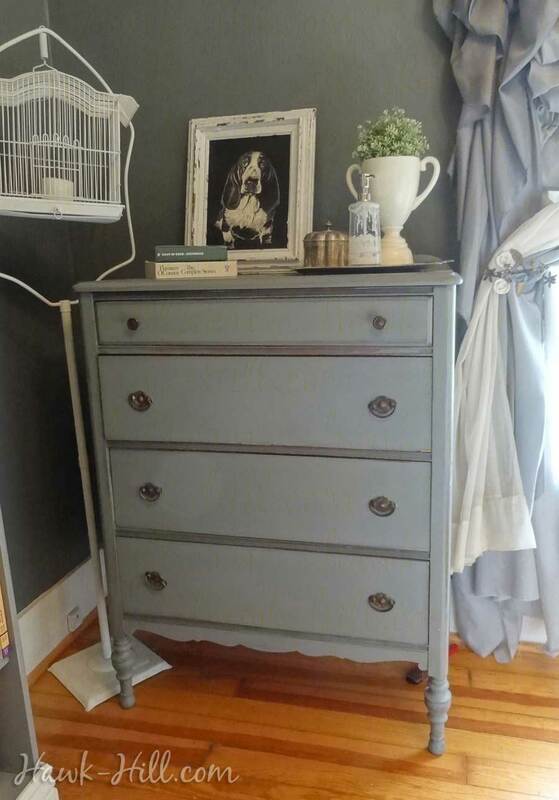 Unfortunately I’ve sold this dresser so I can’t give it a go, but if I was to recreate this project I would add a final step of coating the entire thing in white plasti-dip spray instead of duct tape, for a polished, seam-joined, finish. 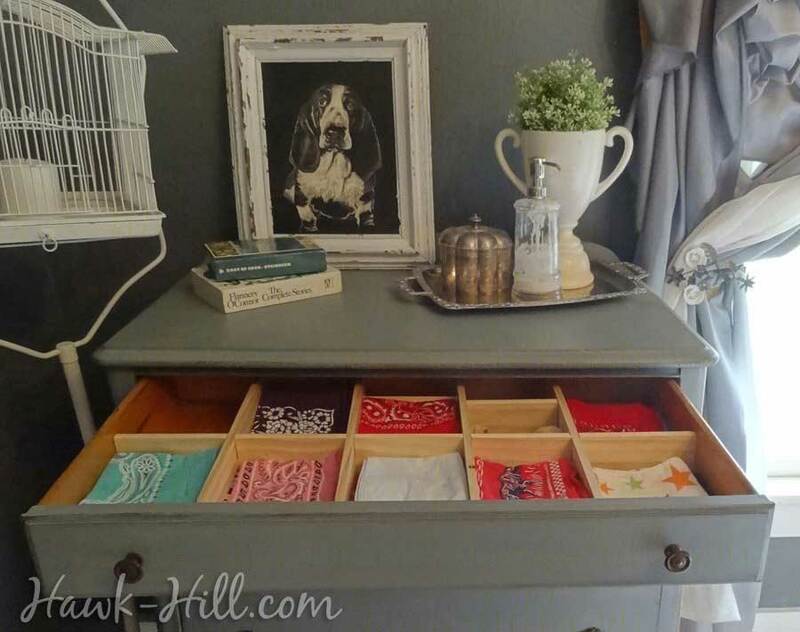 If you liked my tutorial on soft foam drawer dividers, check out my tutorial on creating cheap wood dividers for kitchen drawers, jewelry drawers or, as for the top drawer of my dresser, handkerchief/scarf drawers! I love this. I’ve been wracking my brain over what I could use for dividers for clear plastic bins to store items. This looks perfect. I’m off to the big box store to buy some foam core board. Brilliant! Thanks so much for this tutorial. So appreciated.